McCain got the credit, but Murkowski and Collins did more to defeat Trumpcare. This smooth lobbying effort apparently did not work. But two other Republicans were at least equally—and perhaps more—instrumental in killing the latest, and maybe final version of the Republican plan to repeal Obamacare: Sens. 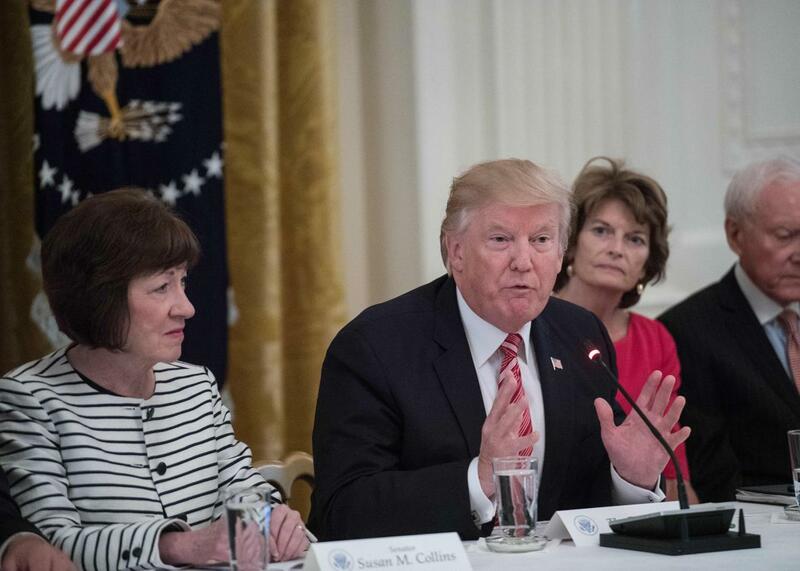 Lisa Murkowski and Susan Collins. Collins, the moderate four-term Republican from Maine, was one of the first senators to come out against the earliest Senate version of a repeal-and-replace bill. She hasn’t wavered since. Collins was one of two Republican senators to vote “no” on the motion to move Trumpcare in its multiple and sometimes yet-to-be specified incarnations to the Senate floor for debate. Contrast that with the Republican effort. Collins—along with all other Republican women—were excluded from the working group that designed the initial version of the Senate bill. Earlier this week, Rep. Blake Farenthold said he’d want to “duel” her if she weren’t a woman. The second Republican to oppose the final “skinny repeal” measure was Alaska’s Lisa Murkowski, who along with Collins was the only other Republican to oppose the motion to proceed and was also threatened by a male colleague from the other chamber in the days leading up to the vote. Despite being left out of the discussions to craft the bill, Murkowski had seemed much more open to voting for some version of repeal and replace than Collins. Majority Leader Mitch McConnell even added Alaska-specific sweeteners to the bigger repeal-and-replace package in order to try to win her over. Ultimately, McCain swooped in to save the day in dramatic fashion. He deserves the praise he is getting for it. But it was Murkowski and Collins more than anybody that ensured the defeat of Trumpcare, and maybe the survival of Obamacare.